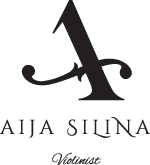 Born and trained in Riga, Latvia, Aija received her early musical training at the renowned Darzinya Music School. At the age of twelve, she won the Eastern States violin competition in the former Soviet Union. In 1992, she was awarded a position with the prestigious New World Symphony in Miami, Fl. During the same year, she was chosen to be Concertmaster in the New York String Festival, directed by Alexander Schneider. With his orchestra, Aija led all the performances given at Carnegie Hall. Since emigrating to the West in 1990, Aija has worked and trained with distinguished artists such as Itzhak Perlman, Pinchas Zukerman, Lynn Harrell, Nadja-Salerno Sonnenberg, and many others. She has performed all over the US and Canada, as a symphony and chamber musician, as a recording artist, and as a Broadway soloist. She has also made many concerto and chamber music appearances at notable festivals such as SMU in Taos, Taos (NM), the New School of Music Christmas Seminar at Carnegie Hall in New York City, and at the Spoleto Festival in Charleston, SC. In 2002, Aija had the honor of performing with the Boston Landmarks Orchestra two solo works from the movie “Schindler’s List”, which were originally written by John Williams for Itzhak Perlman. In 2013 Aija left Boston and relocated to Hilton Head Island. Leaving orchestra playing behind, she sought new and creative musical formats within which she could continue performing. 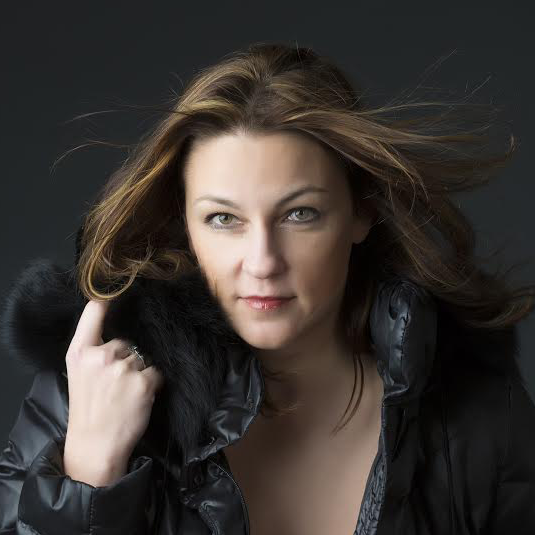 She created a new music series titled “Artist in Residence”, consisting of arranging and performing exclusively tailored programs inspired by a particular theme and a specific audience. These programs are performed during a musical soirée in private residences bringing opera, Broadway, chamber music, stage and theater to an intimate setting offering a personal and unique experience for the audience. Since relocating to the Lowcountry, Aija has been performing with the Savannah Philharmonic in Savannah, GA and various chamber groups throughout the South Eastern states of the US. Aija is currently in the process of writing an autobiographical book of original stories, based on her colorful experiences after moving to the United States from the former Soviet Union at the age of eighteen, with $50 in her pocket and the content of one borrowed suitcase. Aija plays on a 1865 French violin by David Gaillard.